Sensors – Accelerometer, proximity, compass, light. Type – IPS HD Capacitive Touchscreen with 16M colors. 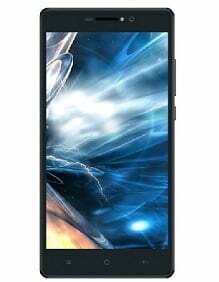 Walton Primo H6 Lite is a mid range smartphone that has 2 GB RAM with 16 gigs internal memory. Buy this device and experience your favorite movies and apps in excellent colors and deep contrast with HD quality on the splendid 5.5 inches large display. Play game or stream any live videos with p[perfect clarity on screen. Under the hood, this device has 1.3 GHz Quad Core processor. So the device delivers outstanding processing speeds to balance between endurance and performance for swift multitasking. Primo H6 has BSI 13 MP Camera so save the precious moments of your life, with a simple tap. Take clear and detailed pictures or videos with the camera. Keep snapping your selfie moments with the BSI 8 MP front camera even in low light with LED flash. This device has latest Android 7.0 Nougat OS, So it offers the Multi-Window mode, which lets the user access tow apps simultaneously. Another remarkable feature is the quick shift between apps with a double tap on recent apps buttons.